The historic backdrop of downtown is the perfect place to host many of the area’s premier events. 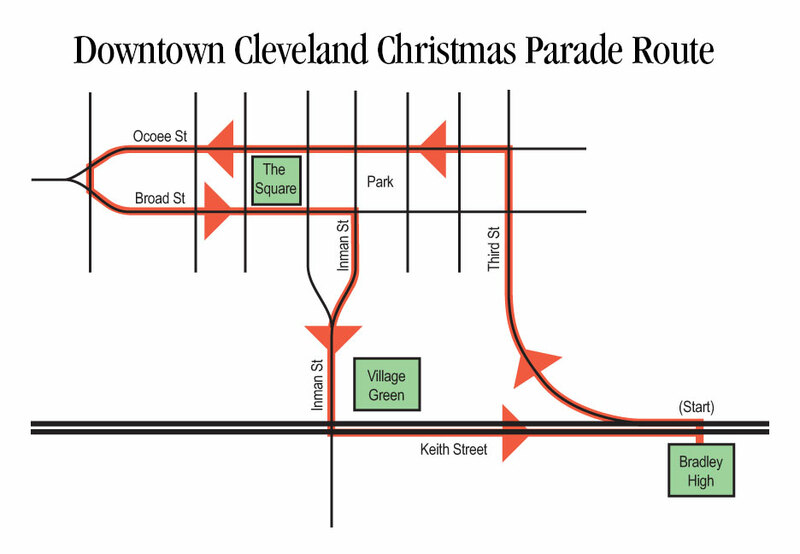 Family oriented events are held throughout the year including these long standing community traditions: the annual Christmas parade held downtown for more than 50 years, 30 years of the Halloween Block Party and the 15th season of the Mainstreet Cruise In. 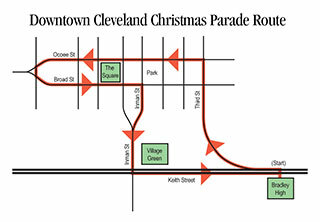 Mainstreet Cleveland continually adds new events such as the Farmers Market at the Mill and annual Arts Festival. Downtown is a great place to live, work, and play! Membership Meeting: Typically held on the third Monday of each month at the Elks Lodge - 12:00 Noon. Lunch buffet: $11. MainStreet Mutt Strut - Sat. April 13, 2019. Show off your pet for a good cause! MainStreet Cruise-In - The 4th Saturday of each month, April - October- 1 to 6 p.m.
For more information on these and other events call the MainStreet Office: 479-1000. 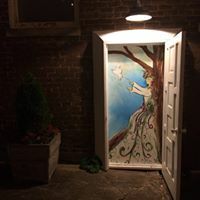 Visit the Back Alley Gallery and view the public art display by local artists. The main location of Back Alley Gallery is in alley behind Craigmiles Hall, a half block east of Ocoee Street across from the Courthouse. A second location is on Broad Street just south of Gardner's Market. The Back Alley Gallery has transformed these unused alley spaces with art, lights, and plants. Doorways mounted on the walls in the alley frame selected works of art. The doors will open to reveal works of art hidden within the frame. Check it out today and open the door to Art! Funding for this project was by the Lyndhurst Foundation.